From stem cell research to teaching evolution in public schools, religion and science are frequently pitted against one another in the public discourse. But do scientists themselves see religion as an opponent? 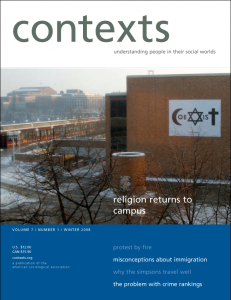 Are college campuses today as secular and hostile to religion as stereotypes suggest? 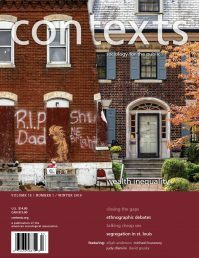 Also in this issue, what effect has today’s wave of immigration had on American society? Does the “Hugo-centrism” of discourse about Venezuela impair our understanding of the country? And what does New York Times columnist David Brooks think about sociology today? A Big Take On The World's "Little People"
Comment Dit-on "do'h!" En Français?